In 2006, 300 arguably changed the course of action cinema. Love it or hate it, the film was something of a sensation, and popularized fantastical, comic book-like interpretations of historical epics in a way that would be mimicked by a number of films to come: , Immortals, etc. It’s still arguably the most noteworthy work we’ve seen from prolific blockbuster director Zack Snyder. But when the sequel rolled around in 2014, it failed to capture the magic of the original. 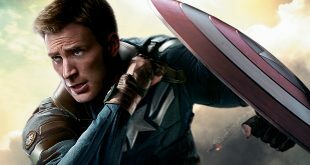 While it was stylistically similar and some critics enjoyed its sheer absurdity, the majority slammed it as cheap imitation of an original that already bordered on being too ridiculous. Eva Green earned rave reviews as Artemisia, a new villain assisting the Persian army in a naval battle against the Greeks, but she was the lone bright spot in most people’s eyes. One particularly harsh review called it “a tedious slog of repetitive callbacks.” Ouch. A lot of people probably believed that would be the end for the franchise, and it may still prove to be. 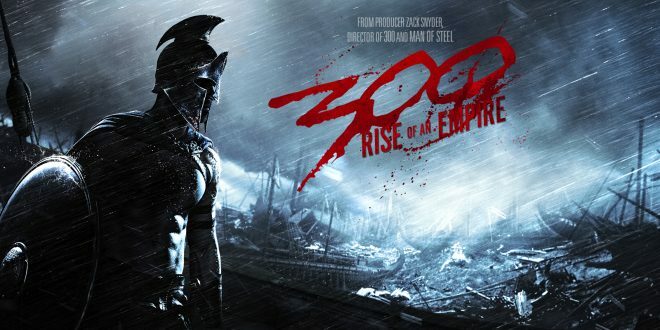 But quietly, a film called 300: The Resurgence has popped up on IMDB, indicating that there may indeed be a third film in this series. It’s characterized as being “in development,” which means only paid subscribers can see more information, but a little research makes it pretty clear that this project is out there, and it may be happening. If this sounds like a ridiculous idea for a studio to roll with, well, it isn’t. Despite the rough critical reception, Rise Of An Empire made more than $330 million dollars around the world, off of a budget that barely exceeded $100 million. And a mobile game based on the film (which was actually pretty good fun for what it was) got over 10 million downloads on Android devices alone. Furthermore, the original film still seems to generate interest whenever it comes up. Many believe that the main problem with the sequel was simply that Gerard Butler couldn’t be in it after becoming a major fan favorite (and winning himself a career) as King Leonidas in 300. And just recently, a game called “Fortunes Of Sparta” popped up on a page full of innovative slot games at an online gaming platform. It’s not the only slot reel there to invoke popular film characters and themes to generate interest, but it’s somewhat unusual for it to be emerging now, a decade after 300‘s release. And it’s just another indication that people are still attached to this movie. But even if the interest is there, what would this film actually look like? Historically speaking, it should concern the Battle of Salamis, during which an allied Greek and Peloponnesian force baited Xerxes into a naval battle after the Persian emperor took Athens. This was the next event to follow after the battles at Thermopylae (depicted in 300) and Artemisium (shown in Rise Of An Empire). But what little indication we have about the possible third installment suggests that Salamis probably isn’t in play—despite a few light rumors that the likes of Xerxes (Rodrigo Santoro) and Queen Gorgo (Lena Headey) could be returning to action. Instead, the rumors indicate a full departure from actual history and a wholly bizarre fantasy that pits ancient Spartans (or possibly ancient Spartan imitators) against British forces in the present. The basic idea is that after the Greeks were oppressed for years by Ottoman rule, the Parthenon was destroyed and British soldiers made off with iconic marble statues from within. What ensues is a sort of Spartan pride parade across Western Europe, culminating in a partial takeover of London. If that sounds completely insane, it is, but it’s also a real idea—the script is already circulating a sort of insider Hollywood social network. Whether or not it becomes a reality in its current form is anybody’s guess, but some kind of follow-up to Rise Of An Empire actually seems pretty likely.